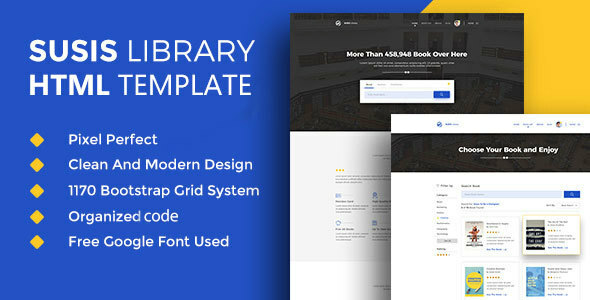 SUSIS Library is HTML5 landing page based on Twitter Bootstrap for library website with clean and modern design. SUSIS Library will give you interactive product presentation for your company, university, private library and book stall too. Its very clean idesigned to bring user experience that you will definitely love. Integrated with bootstrap grid system which is responsive and mobile friendly and easy to use. Note: All images used only for preview purpose, Demo images are not included with main downloadable file.